Following a slow start, the winter of 2018/19 has provided several significant storm events, bringing beneficial precipitation to the Central Valley. Rainfall totals are running from 80% to 110% of seasonal norms with more storms on the way as this report was being prepared. Recent storms have also increased snow packs in the Sierra Nevada watershed. The official Department of Water Resources Snow Measurement completed on January 31 placed the water content of the snowpack at 100% of average for this time of year. Growers spent the winter working on normal dormant season tasks. While pruning of mature orchards has been completed, recent storms have made brush shredding a bit challenging. Herbicide applications have also been delayed, with growers working through the days without rain to complete applications prior to the start of the bloom. Meanwhile, fertilizer and soil amendment applications have largely been completed. Orchard sanitation or mummy removal has been a particular challenge this winter. First of all, the prolonged 2018 bloom produced a wide range of maturity levels during last year’s harvest. This resulted in more difficult shaking conditions and a higher number of nuts that remained in the trees. With the delayed start of the 2018/19 rainy season, growers were forced to postpone sending shakers back in the orchards to remove the mummies, a critical component in the battle to reduce damage caused by Navel Orange Worm in the subsequent crop. Ironically, recent storms have saturated many orchard soils, making passage with equipment difficult , if not impossible. 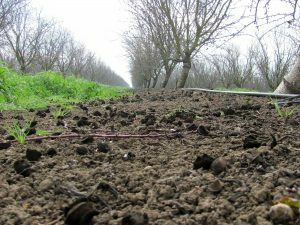 As a result, many orchards have yet to be sanitized and growers have been scrambling to finish shaking prior to the first of February. 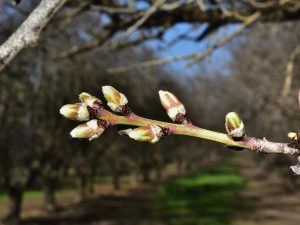 Observers are reporting that flower buds in early blooming varieties are swelling rapidly, under the influence of temperatures that have been running approximately 10 degrees above seasonal norms. Observers in the northern Sacramento Valley have reported that advanced examples of the Sonora variety planted on plum rootstock along the west side of Glenn County are showing as much as 5% open flowers. 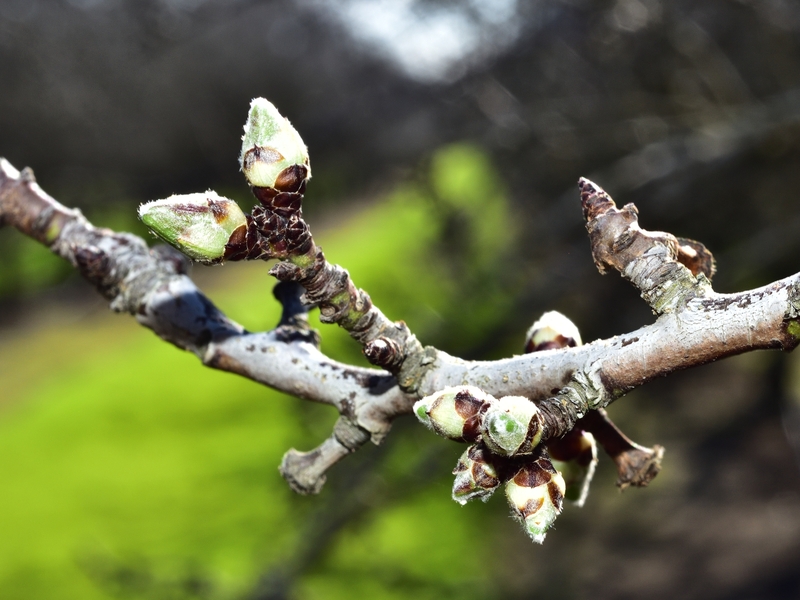 A few advanced orchards in the Snelling area of Merced County are also presenting a dusting of open flowers along the tops of the trees. However, only a few rogue Sonora flowers are visible in advanced orchards in the balance of the Central Valley. Observers have noted that buds of the Nonpareil and its pollinizers, along with the Independence are swelling nicely and beginning to show the first signs of the green tip stage. 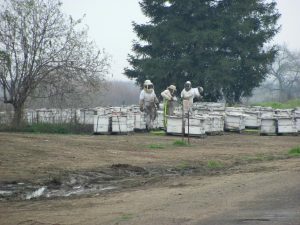 Beekeepers can be seen in all areas moving colonies into the orchards. Deliveries to local bee yards began several weeks ago allowing the beekeepers to prepare the hives for the coming bloom. 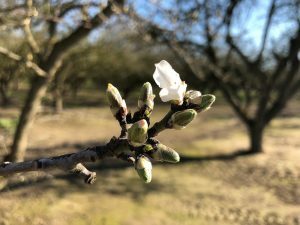 Movement into the orchards will continue over the next two weeks as beekeepers work to place their hives prior to the start of the bloom in each orchard.